How to do advanced burpees for a high-intensity workout, demonstrated by Chicago Women’s Weight Loss Coach Stephanie Mansour and Jenny Milkowski of Fox 32. If you’re looking for a high-intensity full-body exercise for fat burning and strength training, burpees are one of the most effective workouts you can do. As a women’s weight loss coach, I work primarily with busy women who have hectic schedules and a mountain of responsibilities competing for their time. My private coaching clients are willing to put in the work, but they want fast results. They want to know how to slim down, tone and tighten, and lose weight without spending hours at the gym. The good news is, some of the most effective workouts can be completed in short bursts of high-intensity activity. Fast and action-packed workouts can help you burn fat and build endurance in no time flat. You may not have an hour to go to the gym, but you can fit in more efficient workouts for high-impact in less time. Burpees are something you can do almost anywhere and they don’t require any equipment. So whether you’re on your lunch break or on a business trip, you can get in a good workout with moves like burpees. If you’re out of shape, new to working out, or you have an injury, you can do a modified burpee that’s easier on your body. Click here for step-by-step instructions on how to do a modified burpee. But if you’re looking to step it up in your workouts, it’s time to add advanced burpees to your workout routine. I teamed up with my favorite workout partner and media personality Jenny Milkowski to demonstrate how to do an advanced burpee for a high-intensity full-body workout. Start by standing with your feet shoulder-width apart and your arms raised at your sides. Lower yourself into a low squat, keeping your arms raised. From the squat position, jump, while raising your arms and pushing your hands upwards. As soon as you land, bend down and place your hands flat on the ground in front of you. Shift your weight onto your hands, keep your elbows slightly bent, and jump back into a plank position, pushing your legs straight behind you and landing on your toes. Once you’re in a plank position, bend your arms and do a push up, keeping your body straight, abs tight, and legs straight. Bend your knees, jump forward. Land with your feet just behind your hands in a low squat position. Jump straight up raising your arms in the air. Repeat. Build up your stamina to do multiple sets of advanced burpees. Advanced burpees are a tough exercise that will challenge you, but if you stick to doing advanced burpees consistently, you will reap the benefits of slimming down, getting fit, and boosting your overall body conditioning. For more quick fat-blasting workouts, get the Step It Up with Steph Signature Slimdown workout DVD here. Join me for a FREE (and FUN!) 21-day crash course on how to finally break through the mental roadblocks getting in the way of your goals, gain the confidence you’ve always wanted, and discover the secret to designing a healthy lifestyle you love. Sign up for the FREE 21-Day Challenge for a simple but powerful workout plan, an easy-to-follow eating guide, and fun confidence-boosting exercises. Whether you’re new to working out or you want to get better results in less time, trying new moves, making small changes to your routine, and adding quick workouts throughout your day can make a big difference. As a weight loss coach for women, my private weight loss coaching clients often ask me what they can do to feel better about their body, especially when they are running short on time. I suggest adding exercises you can do in a few short minutes that target, tone, and tighten specific areas of your body. If you routinely do an exercise that targets your upper arms, thighs, love handles, or other areas that you would like to slim down and firm up, and you stick to the exercises consistently over time, you will start to see noticeable results within weeks. It feels good to know you have the power to make a difference in your body. And that positive feeling will help you feel motivated to make even more positive changes to create a healthier lifestyle. I stopped by NBC Studios in New York City for ‘One Small Thing’ day on Kathie Lee and Hoda on the Today Show to share How to Start Working Out: 1 Exercise to Do Every Day. Watch the segment to see me in action and get a cheat sheet on quick exercises you can do for 5 areas of your body here. Friday: Reach for Wine to flatten your abs… and cheers to the weekend and a job well done! How to do modified burpees for a full-body workout, demonstrated by Chicago Women’s Weight Loss Coach Stephanie Mansour and Jenny Milkowski of Fox 32. In my work as a weight loss coach for women, many of my private weight loss coaching clients are busy women who are short on time. They often ask me how they can get in shape and lose weight when they can’t fit hours at the gym into their already hectic schedule. What many people don’t know is that some of the most effective workouts don’t require any equipment, trips to the gym, or hours of your time. Quick high-intensity workouts can burn fat and whip you into shape faster than you might think. Burpees are one of the most effective fat-burning and strength-training full-body exercises you can do. If you want better and faster results, I suggest that you add burpees to your workout routine. Getting a truly full-body workout. With each burpee rep, you work your abs, arms, chest, glutes, quads, hamstrings, and more. Burn more calories in less time. Because even modified burpees are a high-intensity exercise, you’ll burn more calories than walking, jogging, or doing the elliptical at a moderate rate. Improve your overall conditioning. You’ll get your heart rate pumping and begin to develop greater endurance fast. Burpees do not require any equipment and you can do them almost anywhere. They’re quick, efficient, and powerful. You may not have 30 minutes to go for a jog, but you do have a few minutes to do a burpee workout. And if you’re worried that burpees are too difficult, think again. I teamed up with my favorite workout partner and media personality Jenny Milkowski to demonstrate how to do a modified burpee for a full-body workout, even if you’re injured or out of shape. Start by standing with your feet shoulder-width apart and your arms at your sides. Put your weight on your heels and lower yourself into a squat. Stand back up, and instead of jumping like you would with a regular burpee, reach up towards the sky keeping your feet planted on the ground. Squat again and place your hands flat on the ground, directly in front of you, shifting your weight to your hands. Instead of jumping back into a plank position, as you would with a regular burpee, slowly step your feet back one at a time into a plank position. Rather than doing a regular pushup, lower your knees to the ground and do a modified pushup. Next, raise your knees back off the ground and raise up onto your toes into a plank position. Walk your feet forward again one at a time, with bended knees. Stand up straight and reach up toward the sky. Repeat. Build up your stamina to do as many sets of modified burpees as you can. Modified burpees are still challenging but much more gentle on your joints and better for beginners or anyone who needs to take it easier. Chicago health and fitness expert Stephanie Mansour stopped by the Fox 32 Chicago studios to share tips on how to work out smarter instead of harder. In my work as a weight loss coach for women, I always advise my private weight loss coaching clients on how to get the maximum benefits from their workouts. If you’re going to be spending time exercising, it makes sense to do what you can to get the most bang for your buck. To burn the highest number of calories, blast fat, and tone up, there are simple choices you make to boost the effectiveness of your workout routine. But making the right choices can be confusing because there are always so many options. Most women want to see results instantaneously and they certainly don’t want to spend hours working out or waste valuable time doing the wrong thing. Which is best — working out with dumbbells or resistance bands? Should you use machines at the gym or is it better to use your body weight? Which exercise is better — lunges or squats? What should I do to get rid of “muffin top” — crunches or lower leg lifts? I stopped by the Fox 32 Chicago studios to play a game of “this not that.” Watch the video for tips on how to work out smarter instead of harder and see if you pick the right answers. For quick fat-blasting workouts, get the Step It Up with Steph Signature Slimdown workout DVD here. Chicago weight loss coach Stephanie Mansour shares some common mistakes people make when tracking calories that could be sabotaging their weight loss efforts. As a weight loss coach for women, I advise my private weight loss coaching clients not to obsess over counting calories. Instead, I encourage them to focus on eating nutrient-rich foods, because not all calories are created equal. The healthiest way to approach eating for weight loss and weight management is to think of food as fuel to nourish and energize your body. But while losing weight is not always as simple as counting calories in and calories out, the truth is that the number of calories you consume and the number of calories you burn factors heavily into the weight loss equation. If you’ve been tracking your calories and you’re frustrated with your progress, it could be because your eating habits are working against you — the types of foods and timing of your meals could be to blame. And it could also be because you’re burning fewer calories than you think during your workouts and throughout the day. 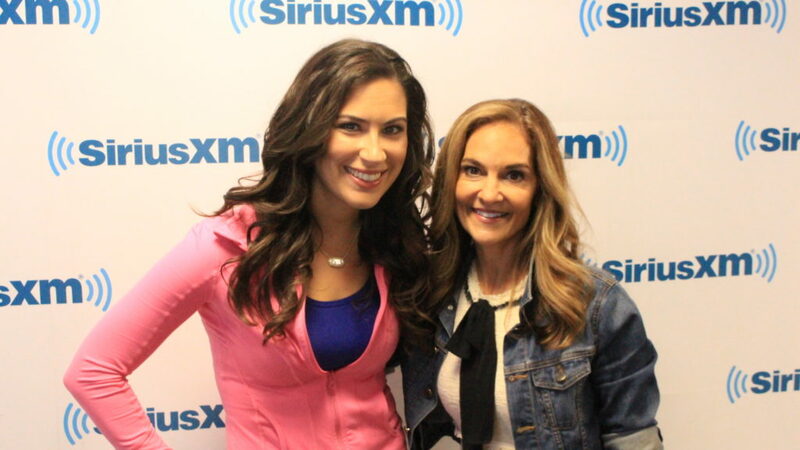 For more insights into common calorie-counting mistakes my fellow health and wellness professionals are noticing in their work with clients, I reached out to Lisa De Fazio, Los Angeles nutritionist and registered dietician, and Deborah Malkoff-Cohen, New York nutritionist and registered dietician. If you’ve been making some of these mistakes and burning fewer calories than you thought, the good news is now you know and you can begin making changes today. How to strengthen stabilizer muscles to decrease and prevent pain and injuries, demonstrated by Chicago Women’s Weight Loss Coach Stephanie Mansour and Jenny Milkowski of Fox 32. Doing exercises to stabilize your muscles, joints, and ligaments helps to decrease and prevent pain and avoid injury. So if, for example, you’re going to be running on uneven pavement, it would be beneficial for you to have worked on your body’s ability to stabilize your ankles. Stabilizing exercises will help you maintain correct posture and form, which makes it easier to perform routine tasks throughout the day and improves your workout performance, efficiency, and effectiveness. In my work as a weight loss coach for women, I advise my private weight loss coaching clients on specifically which exercises to do that will not only help them tone up and slim down but also keep their body healthy and prevent injuries. Experiencing pain or becoming injured are common reasons people give for not reaching fitness goals, which is unfortunate because many problems are preventable with proper guidance. If you’re someone who works out often, you may not realize how important it is to work on your stabilizing muscles. But you should know that working out in the gym for toning is not going to necessarily help with stabilizing. So you can look tone and fit, but if your stabilizing muscles are weak because you’ve overworked your other muscles, you’re setting yourself up for possible injury. 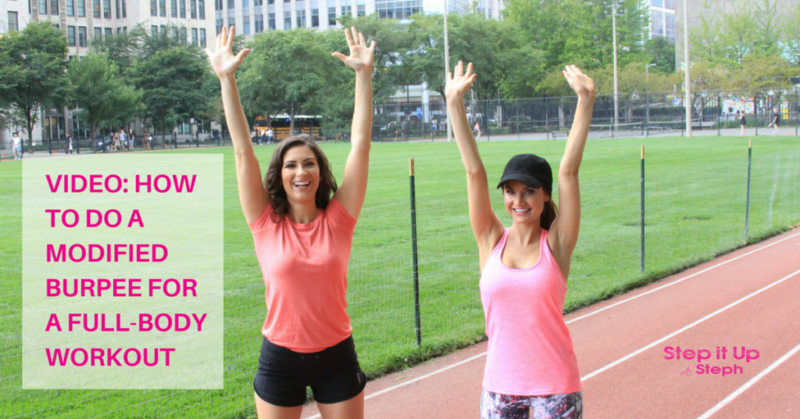 I teamed up with my favorite workout partner, media personality Jenny Milkowski, to demonstrate an exercise that strengthens stabilizer muscles. Stand with your legs slightly apart and place your hands on your hips. Bring one knee up while balancing on your standing leg. Press down through the heel of your standing leg. Hold. SLOWLY lower your leg and return to your starting position, with your knee raised in front of you and balance on your standing leg. Switch sides and repeat the exercise by lifting the opposite knee and balancing on the opposite leg. Repeat 5 times on the second side. And there you have it. Remember, you have to take care of your body, it’s the only one you’ve got! I want you to push yourself and step it up but also make sure you are always taking the necessary steps to prevent injury and feel good in your body. Chicago weight loss and health coach, Stephanie Mansour, shares her favorite self-help books, handpicked to cover a wide-range of topics related to well-being and personal development. Are you one-hundred percent satisfied with your life, exactly as it is right now? Do you have the perfect relationships, perfect body in a perfect state of health, and perfect career? Do you feel completely fulfilled and content, free of all stress and worry? Of course not, and that’s perfectly okay. Because if you’re like most people, there is at least one area of your life that you want to improve. Sometimes the improvement you seek requires implementing massive change in your life. And sometimes that improvement simply requires a shift in the way you think. But the good news is, you don’t have to make any change on your own. No matter how confused and stuck you may feel when it comes to challenges you face, help can be found in a book just a click, tap, or arm’s reach away. As a health and wellness professional and weight loss coach for women, I work with my private weight loss coaching clients on much more than food choices and exercise plans. We address all areas of their lives to strengthen their mindset, boost their confidence, and provide tools to better manage stressors that might be interfering with their self-care. In a recent article for the Today Show, I shared 9 Self-Help Books That Will Change Your Life. You can read it here. Whether you’re looking to improve your eating habits, confidence, career, or emotional well-being, there’s a self-help book out there to help you reach your goals. This list includes my favorite self-help books that have helped me not only grow a successful practice as a weight loss coach for women, but they have also helped my clients — many of whom are successful women in their own careers — reach their goals. Thank you to authors, Joy Bauer, Marianne Williamson, Tom Rath, T. Harv Ecker, Malcolm Gladwell, Tim Ferriss, Dr. Gary Chapman, and the late Stephen R. Covey and Dale Carnegie. Do you sometimes feel like you don’t have enough energy to get through the day? Maybe you didn’t get enough sleep last night or perhaps the demands of the day have gotten the best of you. Whether you’re having a hard time getting out of bed in the morning, you find yourself hitting a wall in the afternoon, or you want to crawl under the covers before dinner, you always have the power to give yourself a quick energy boost. And you don’t have to rely on caffeine, turn to sugar, or reach for unhealthy energy drinks. As a health and weight loss coach for women, many of my private clients have demanding schedules. They need sustainable healthy energy to keep up with their careers, family and social life, and their fitness goals. For better workplace wellness and greater self-care, it’s important to incorporate healthy ways to stay alert, productive, and feel good into your lifestyle. I stopped by NBC Studios in New York City to share 60-Second Energy Boosters for Morning, Noon, and Night with the Today Show audience. Whenever possible, get plenty of sleep, eat healthy food with energy-sustaining protein, stay hydrated, and get active. But we all need a quick pick-me-up sometimes, so these tips I shared on the Today Show and in this article will help give you the reboot you need. You may think you’re too tired to move, but I promise moving your body will give you the energy you need! Join us for a FREE (and FUN!) 21-day crash course on how to finally break through the mental roadblocks getting in the way of your goals, gain the confidence you’ve always wanted, and discover the secret to designing a healthy lifestyle you love. Sign up for the FREE 21-Day Challenge for a simple but powerful workout plan, an easy-to-follow eating guide, and fun confidence-boosting exercises. Health & Fitness Expert and Women’s Weight Loss Coach Stephanie Mansour shares advice on how to choose the right foods to eat before a workout on Fox 32 Chicago. Do you ever wonder what to eat before your workouts? You don’t want to workout while you’re hungry because you will run out of energy quickly. But you also don’t want to feel full while working out because you know it will weigh you down. One of the most important parts of my job as a women’s weight loss coach is helping my clients create an eating plan that works for their busy lifestyle. There’s much more to creating a healthy nutrition plan than coming up with a list of foods to eat. It’s also important to eat the right foods at the right times to fuel your body for energy and fat loss. As I always tell my private weight loss coaching clients, you should be thinking of food as fuel. Whether you’re preparing to hit the gym first-thing in the morning or after a long day, your body is hungry for fuel. So to get the most out of each workout, you’ll want to feed that hunger with sufficient carbohydrates to provide a burst of energy and plenty of protein. While I advise you to steer clear of empty calories and sugary snacks that will cause your energy to crash fast, don’t shy away from allowing for extra calories in the form of protein and healthy fats. And one of my new favorite pre-workout foods, when I’m on the go, are Nourish Snacks by nutritionist Joy Baur. They’re low in calories with good quality carbs for fast energy and healthy fats. Plus, they’re delicious! I stopped by the Fox 32 Chicago studio to share some tips about what to eat before a workout. Watch the video below. Want more guidance on what to eat when, for healthy weight loss? Join the FREE 21-Day Challenge with weight loss coach Stephanie Mansour for a simple but powerful workout plan, an easy-to-follow eating guide, and fun confidence-boosting exercises.